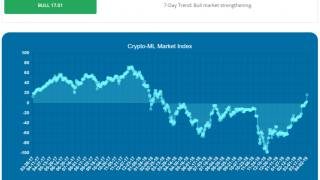 The Crypto-ML Trader platform closed strong positions several days ago. Trades were initiated before the major upswing and closed as things cooled down, capturing strong profits. 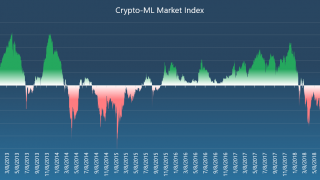 These long trades are coming on the heels of the Crypto-ML Market Index turning positive. The BTC trade is still open but is currently up 24% as of this writing. Full details can be seen on the Trade History page. 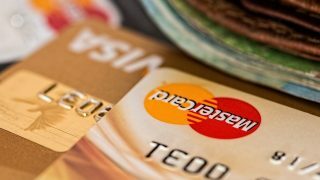 These results are absolutely exceptional and likely cannot be matched with traditional trading techniques and are certainly hard to match in non-crypto markets. Crypto really allows us to take advantage of the volatility. What you may notice is that Crypto-ML trades don’t necessarily get the exact top or bottom of a trade. The wins only capture a portion of each move. 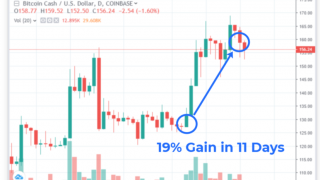 The LTC trade, for example, was “only” a 6.72% gain. However, what you see in our 2019 results is the power of consistent wins. The Crypto-ML BCH account is up 143% so far in 2019, which is amazing. This is the magic of compounding at work. You don’t necessarily have to get the exact top or bottom of a trade. You need to focus on consistently winning and maximizing your trade account balance. That’s exactly the goal we have provided to our machine learning models. For most, this was the first chance to watch the new Trade Meter as trades were issued. Traders watched as the ETH and BCH bars started approaching zero. As this happened, SELL signals were generated. But LTC was still fairly far from zero when it issued a SELL. 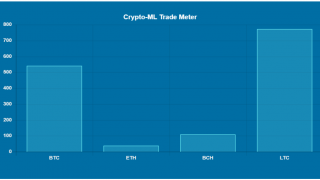 As discussed in the How to Use the Trade Meter article, the updated 2.0 machine learning models are allowed to close trades early. This is a direct learning from the sudden drops that repeated in 2017. Giving the models the discretion to close early was a breakthrough in our models and the results have shown how powerful this can be. 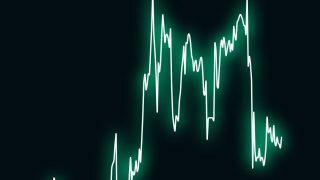 As a note, BUY signals cannot be generated until the Trade Meter drops below zero, turns around, and then comes back positive. An image of the Trade Meter several days before positions were closed. Did you miss out on this last spike? Are you unsure as to when to open and close positions? The markets are tough! Get the power of well-executed machine learning on your side. If you’re not yet on the Crypto-ML Trader Membership yet, try out our 30-day free trial. Thanks and let us know how your trades went in the comments below.